Contact lenses can change the way you look at the world as well as the way you look. Available in a wide range of colors and prescription formulations, contact lenses are ideal for use by athletes and other active individuals who spend a good deal of time outdoors. Consumers in search of contact lenses in Medford, MA can find an exceptional selection of choices at Parrelli Optical to suit almost any need. Parrelli Optical can provide custom contact lens examinations and fittings to correct these conditions. Our customers can choose from soft, gas permeable and hybrid contact lens types professionally fitted by Parrelli Optical’s qualified opticians, allowing them to enjoy the best selection of contact lenses in Medford MA. Parrelli Optical uses the most comprehensive and advanced techniques to ensure the perfect fit and correction for contact lens wearers. Contact lens examinations typically include the use of biomicroscopes to get the most accurate look at the health and current condition of the eye. 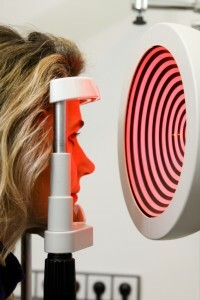 Autorefractors are used to determine the appropriate prescription strength and fit for each patient, allowing a truly customized experience for patients of this advanced eye care office. Cosmetic and colored contact lenses are also available from Parrelli Optical and allow our patients to enjoy a brand-new look along with a brand-new way to see. Parrelli Optical offers a customized approach to eye care that allows our patients to enjoy accurate vision correction and fit. At Parrelli Optical, we take pride in delivering a comprehensive range of services designed to provide you with the best eye examinations and contact lenses in Medford, MA.